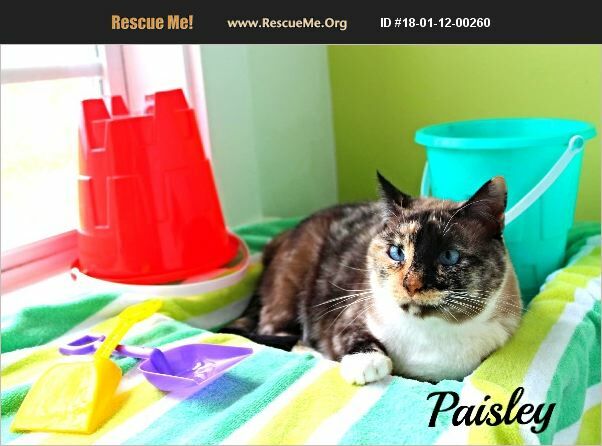 Paisley is a Siamese/Tortoise mix. who was rescued along with her four kittens from an old, deserted barn where she had apparently been dumped. She is very lovable and hoping for a 'forever' home of her own soon. For more information, please email Laura.Adams70345@gmail.com. HOPE for Animals' cat adoption fee is $75. This includes initial vaccinations and spay or neuter. Other pets in the household must be spayed or neutered, and a good vet reference is required.